Vitamin D and The Sun! Make The Decision To Quit Smoking Today! Really? Could It Be Gout? Is There A Cure For Arthritis? There Is A Cure For Eczema! Should You Do A Cleanse? Good Digestion, Why is it important? A Fever Is A Good Thing! Are Oils Good For Your Skin? Does Your Skin Need A Detox? I have pimples all over my face, what can I do to get rid of them? I have HUGE pores and I am quite prone to acne and the odd occasional HUGE spot. How can I minimize my pores? Do Your Products Help with Acne? Skin Problems? Dry, Dull or Damaged Hair? Weak & Brittle Fingernails? How Safe are Your Personal Care Products? Do you know what's in them? How Often Should You Cleanse Your Skin? Why Should You Use a Facial Mask? We All Need A Reminder! Create In Me A New Heart! Appreciate Life Today and Everyday! Nutritious & Delicious Smoothie Recipes! There's no reason that anyone subjected to pain should have to suffer it unaided. The only thing to be careful of is that if the pain is repetitive, the underlying cause should be diagnosed by a medical practitioner. Just treating the symptom may mean delaying a diagnosis that could have significant impact on your general health. Long before modern medical science came into being, mankind has dealing with pain via natural means. Many of these natural herbal remedies have borne the test of time, and are still being used today by those who belong to the herbal remedy school. 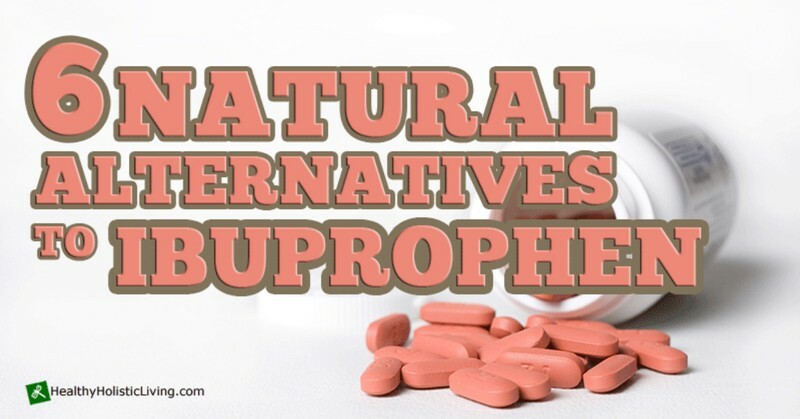 In terms of a holistic health lifestyle, these natural alternatives to ibuprofen, and any other manufactured pain relief treatments, are more in keeping with holistic ideals, so let's take a look at some of them now. White Willow Bark is an herbal remedy that stretches back in time, over 2000 years. It is gathered from the bark of various species of willow trees and has been used in many herbal medicine cultures, including that of the ancient Chinese, and Romans. As well as being used to treat lower back pain, osteoarthritis and other conditions including bursitis and tendinitis, it can also be used as a natural headache relief medicine. White Willow Bark contains a natural chemical known as Salicin. Aspirin, which contains Acetylsalicylic Acid, was modeled on Salicin when it was first engineered back in the 1800s. Although it is not as fast acting as aspirin, the effects of White Willow Bark may have a longer lasting effect. Cat's Claw is so named because of its resemblance to... yes - you've got it... a cat's claw! It's a thorny vine that is known to climb as high as 100 feet, and it's the bark and the root of the plant that are used to make the herbal medication. The plant is found in South and Central America, but mostly in the rainforests of the Amazon. The majority of Cat's Claw that is sold here in the USA is imported from Peru. Research indicates that Cat's Claw may be able to stimulate the immune system. Because of this it is advisable not to take it if you are on medication to suppress your immune system function. Cat's Claw contains an anti-inflammatory agent that prohibits the manufacture of a hormone known as prostaglandin, a hormone which is in part responsible for pain and inflammation. It also contains antioxidants. The research carried out to date also suggests that Cat's Claw can be taken to relax smooth muscles, to dilate blood vessels (thus helping to lower hypertension), and as a natural Diuretic, to help the body to lose excess water. It is often taken by people who suffer from osteoarthritis of the knee. It can be purchased in capsule form, or in its natural form, when it is used to make a tea or tincture. The reason that Boswellia may be able to assist with arthritic symptoms is that it contains Boswellic Acid which is believed to improve the blood flow to the joints, thus preventing white blood cells from entering and causing inflammation. Today, Boswellia can be bought in the form of a cream for topical application, a resin as previously mentioned, or in tablet form. When used to treat arthritis, it is believed that it may be able to prevent cartilage loss. Capsaicin is an ingredient of the Chili Pepper. It is made into a cream that can then be applied topically to any painful area (not the eyes). When we experience pain, a substance known as substance "P" carries pain signals to the brain. Capsaicin is able to interfere with this process. It can be purchased in different grades of strength, and upon initial application can cause some localized stinging or burning, which then quickly subsides. After several applications, (it should be applied 3 to 4 times per day), these sensations are no longer felt. Because Capsaicin comes from Chili Peppers, certain precautions should be made, such as washing your hands thoroughly after applying it, and keeping it away from your eyes, and from children too. As well as being available in cream or ointment format, it is also available in patches. Curcumin is an ingredient that comes from the herb known as Turmeric. It comes from India, where it has a long history of being used in Ayurvedic medicine. It works in a similar way to Capsaicin in as much as it blocks the transmission of substance "P", but it's also credited with the ability to block certain proteins that cause inflammation. It is used to treat arthritic pain but has many other capabilities too according to an article published in Natural News. It is the most medically researched natural herb and it still undergoing tests. For best results consume the whole herb not just the constituent curcumin. Essential oils have the ability to combat one of the most common forms of pain - that of the headache - essential oils are a natural headache relief. Many headaches, such as tension headaches, are a symptom of stress or bad lifestyle, and massaging essential oils into the scalp and temples can be an effective, natural, remedy. They work on two levels - three in actual fact, if you take the massaging process into account as well. Peppermint-great as an overall stimulant/muscle relaxer and one that can readily be applied to children and can also be taken internally when used in Therapeutic grade. Lavender - an excellent sensory calmer/relaxer as well as wonderful natural pain reliever. One of the best suggestions for dealing with painful burns. Wintergreen - many of the pain relieving ointments on the market contain wintergreen. It is a pretty robust sensory stimulant and works well on muscular aches and pains and joint pain as well. Pour six to eight drops of essential oil into a hot bath. Soak for 20 minutes. Essential oils are very powerful - for best results, do not use them if you're pregnant. Depending on the essential oil, they can be applied to the skin neet (straight) or diluted with your favorite carrier oil. Almond oil is my oil of choice. If you are not sure, dilute with a carrier oil. Massage 2 or 3 drops of essential oil with 1/2 teaspoon of almond oil. Apply to affected area (avoiding eyes and mucus membranes). Also apply to the bottoms of the feet. For headaches, massage into the scalp using fingertips and applying vigorous friction to circulate fresh blood and stimulate nerve endings around the tense area.